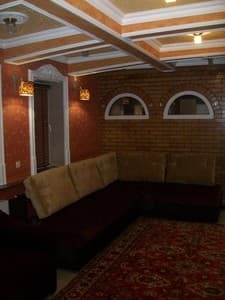 1,2,3,4 room apartment, house, hotel, hostel in the center of the city. European-quality repair, bath, shower, toilet, kitchen, TV, Wi-fi, washing machine, breakfast, concierge. Clean, comfortable, everything you need. We issue the documents. 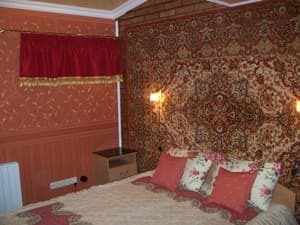 Description of the room: There are rooms with both single beds and a double bed. Description of the room: The suite is equipped with a sofa bed. 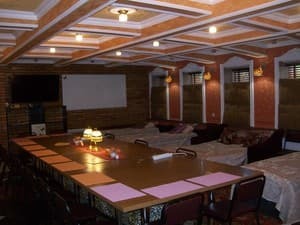 Description of the room: The room has 6 beds (1 double and 4 single beds) and 4 extra beds (1 double and 2 single beds). Possible settlement of 1 to 10 people. Приветливый и заботливый хозяин. Порядок. Комфорт. Тихо. Недалеко от центра. The rooms have a kitchen for self-catering. It is also possible to order breakfast. 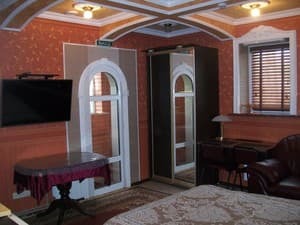 To the nearest grocery store and cafe 100 m.
The hotel "Center Apartments" is located in the city of Sumy, at a distance of 3.7 km railway station. The hotel "Center Apartments" is located 3.8 km from the bus station. From the bus station to the hotel you can get on tram number 15.